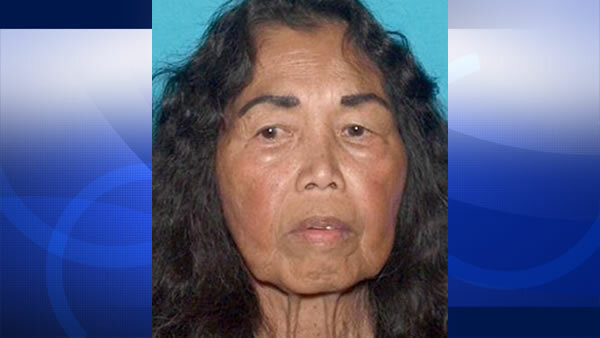 HERCULES, Calif. -- A 76-year-old woman with dementia who was reported missing early Friday morning from the Hercules senior housing center has been found near San Pablo, Hercules police said. Catalina Ahsam, who lives in the 100 block of Civic Drive in Hercules, was reported missing by her son, Vance, at 1:17 a.m. Friday. She had last been seen in her residence at around 7:30 p.m. Thursday. The Contra Costa County Sheriff's Office got an anonymous tip reporting that a disoriented woman was wandering around the area on Cypress Avenue near San Pablo and found Ahsam. She appears to be unharmed but is still being medically evaluated, according to Hercules police.